A bit chilly? This is the perfect warmer. 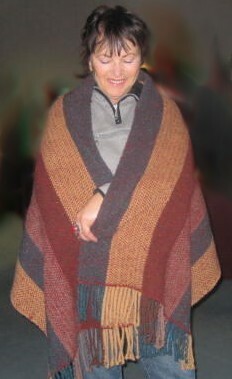 Imagine yourself snuggled into a woven wool shawl like this.